Issue: many states restrict shipments of wine purchased at wineries and retailers! Despite widespread support for expanding consumer choice in wine, many consumers are still severely restricted or prohibited by state law from purchasing the wines they want directly from wineries and retailers and receiving them in their homes or offices. Forty years ago, only four states allowed for legal, regulated winery-to-consumer wine shipments. Now, 45 states allow such shipments, with restrictions, from out of state wineries; only 13 states and the District of Columbia allow retailer-to-consumer direct shipments. (Visit our Find Your State page.) The U.S. Supreme Court, Federal Trade Commission, state alcohol regulators, and state legislators have joined consumers to help update archaic laws. Many of these laws were merely designed to entrench state-sanctioned monopolies in wine distribution. Wine “direct shipping” is defined as shipments using a common carrier from a winery or retailer directly to an adult consumer 21 years or older. The 45 states allowing winery-to-consumer shipping cumulatively represent 94% of the total U.S. population. But winery-to-consumer shipments are still not occurring in five states: AL, DE, KY (felony), MS and UT (felony for winery to direct ship), and many states for retailer direct shipping. What’s driving this consumer rights issue? Each vintage, more wines are produced than can be stocked or sold by wholesalers or retailers. The number of U.S. wineries has increased by over 500% to more than 10,000 in the past 30 years – there is at least one winery in every state. But U.S. wineries produce thousands of new wines each vintage, and nearly all wineries are small, family-owned and operated producers. The top 50 largest wineries produce more than 90% of America’s wine. But less than 17% of U.S. wineries have national distribution (source: Wine Institute member survey, 2003). Consumer demand for these wines is thriving. Consumers expect to be able to purchase the wines they want, in the manner of their choosing: from retailers, at the winery, and online. The U.S. Supreme Court, Federal Trade Commission, and many state legislators support them, and support expanding consumer choice in wine, especially using the “model direct shipping bill,” a proven piece of legislation used by the majority of states. But wholesaler middlemen seek to protect their state-sanctioned monopolies. The number of wholesalers decreased by over 75% during the same 30-year period. Now, two or three wholesalers alone determine what wines are available in most states. The 10 largest wholesalers control 73% of the U.S. market (source: IMPACT newsletter, April 15, 2018). The Model Direct Shipping Bill satisfies consumer demand for choice in wines and how they are delivered, satisfies regulatory requirements and creates a new source for state tax revenues. The solution was cited by the U.S. Supreme Court in its May 2005 ruling (Granholm v. Heald), by the Federal Trade Commission on numerous occasions, and is working successfully in the legal states. 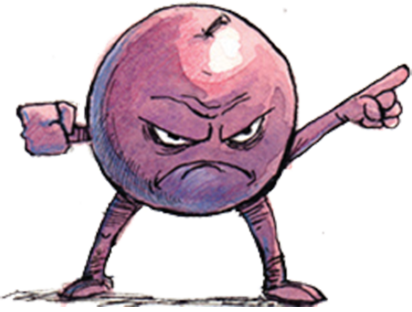 Free the Grapes! and millions of wine enthusiasts, regulators and tax collector officials in states that have passed favorable legislation as well as America’s mostly family-owned winery farms located in all 50 states, support limited, regulated direct-to-consumer shipments. No state has rescinded its winery direct shipping laws. Additionally, the National Association of Wine Retailers advocates for the rights of retailers to ship wine directly to consumers. What are consumer supporters doing to support the cause? Citizens and winery plaintiffs have worked together to sue in numerous states and took the case successfully to the U.S. Supreme Court. On May 16, 2005, the High Court ruled that it is unconstitutional for states to allow their wineries to ship to their consumers, and deny that same privilege to out-of-state wineries. Wine wholesalers (aka distributors) and their national trade association, the Wine & Spirit Wholesalers of America. Many retailers also oppose attempts to allow retailer-to-consumer direct shipping.